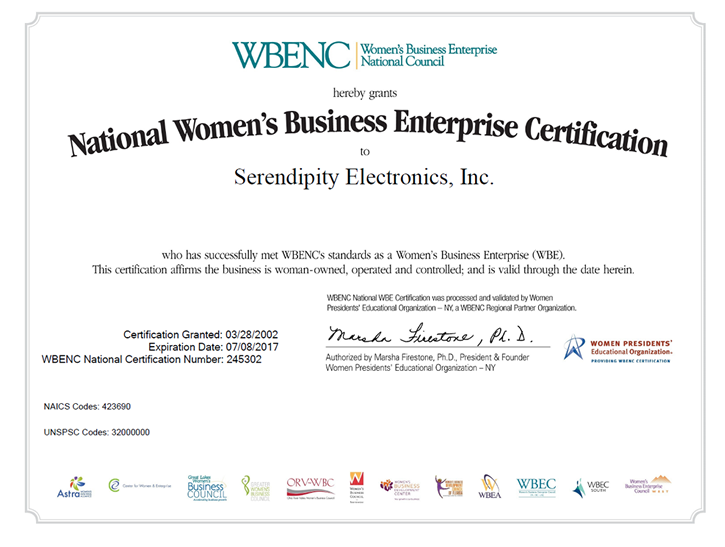 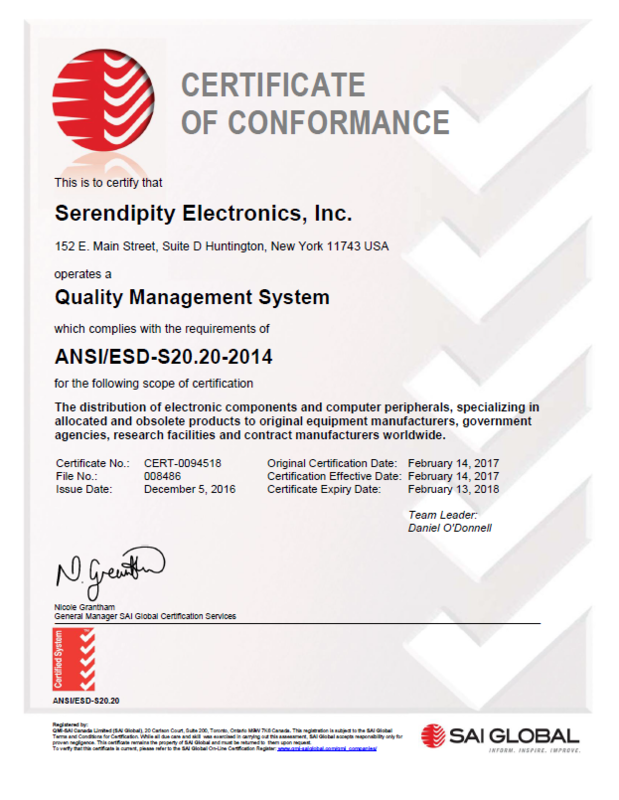 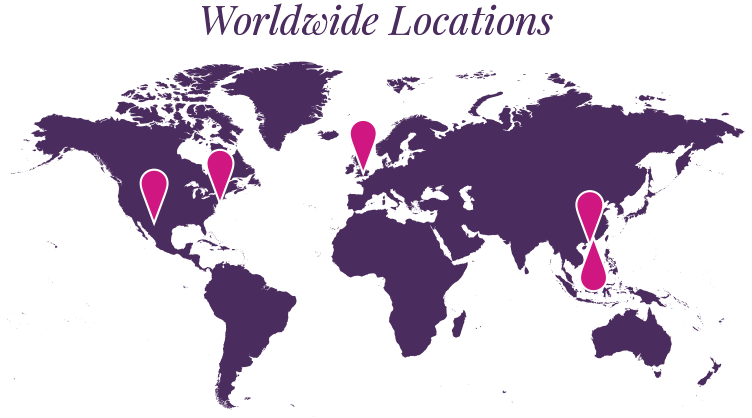 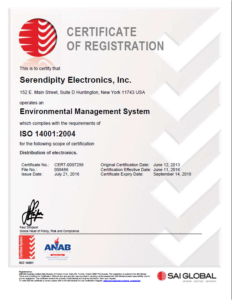 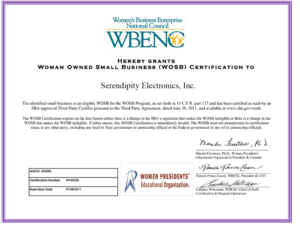 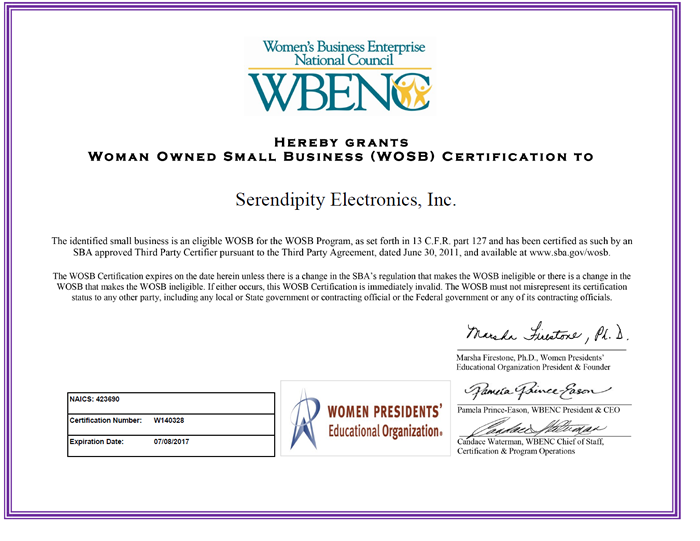 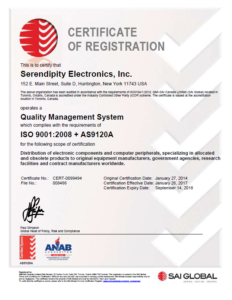 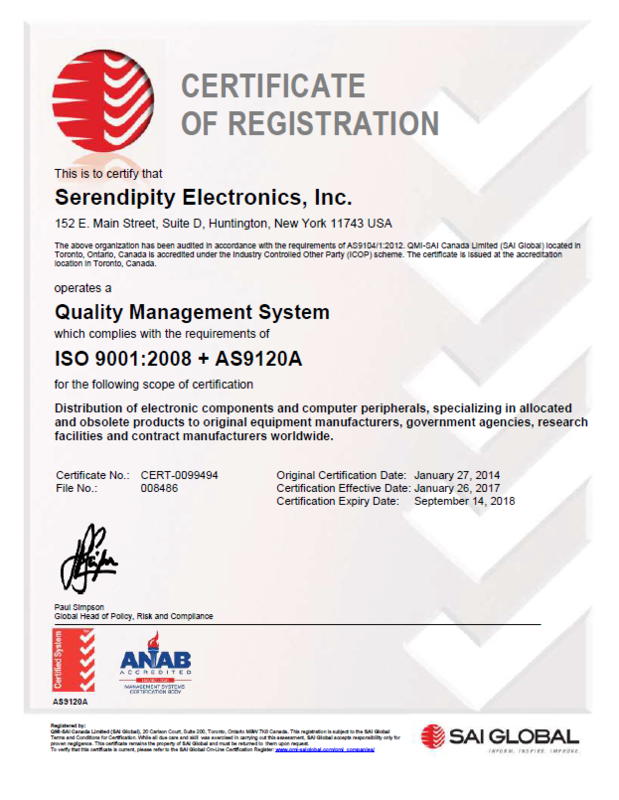 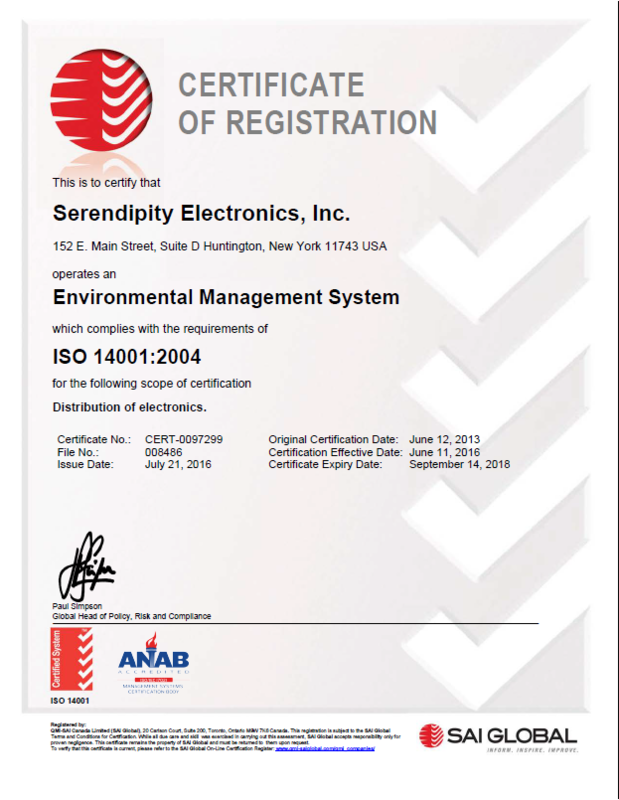 Serendipity Electronics is an AS6081 certified parts distributor. 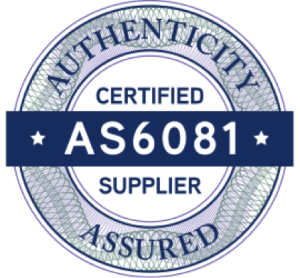 AS6081 is the most recognized standard for the use of counterfeit avoidance by distribution. 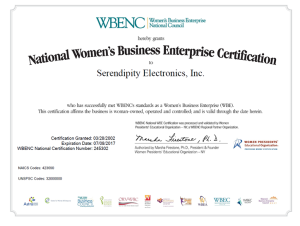 It was developed by a cross section of industry and government, including representatives from organizations such as NASA, The Missile Defense Agency, Northrop Grumman, and Lockheed Martin. 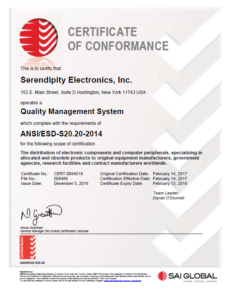 It dictates requirements from the initial contract phase all the way through inspection and delivery to the customer.